In order to effectively employ portfolio strategies that can control interest rate risk and/or enhance returns, you must understand the forces that drive bond markets, as well as the valuation and risk management practices of these complex securities. In Advanced Bond Portfolio Management, Frank Fabozzi, Lionel Martellini, and Philippe Priaulet have brought together more than thirty experienced bond market professionals to help you do just that. 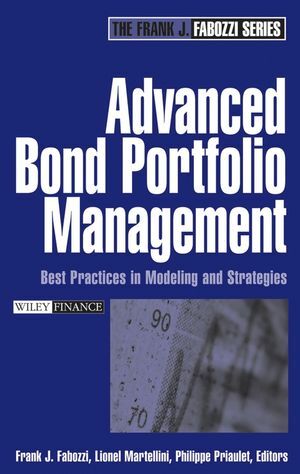 Filled with in-depth insight and expert advice, Advanced Bond Portfolio Management is a valuable resource for anyone involved or interested in this important industry. Frank J. Fabozzi, PhD, CFA, CPA, is the Frederick Frank Adjunct Professor of Finance at Yale University's School of Management and a Fellow of the International Center for Finance. Prior to joining the Yale faculty, Fabozzi was a visiting professor of finance in the Sloan School at MIT. 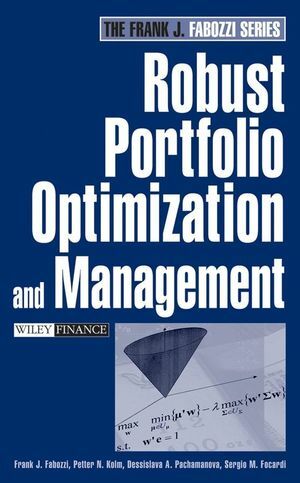 He is the Editor of the Journal of Portfolio Management. Lionel Martellini, PhD, is Professor of Finance at EDHEC Graduate School of Business in France and the Scientific Director of EDHEC Risk and Asset Management Research Centre. A former member of the faculty at the Marshall School of Business, University of Southern California, he holds Master's Degrees in Business Administration, Economics, Statistics, and Mathematics, as well as a PhD in Finance from the Haas School of Business, University of California, Berkeley. Philippe Priaulet, PHD, is the Head of Global Strategy at Natexis Banques Populaires. He is also an Associate Professor in the Department of Mathematics at the Université of Evry Val d'Essonne. He holds Master's Degrees in Business Administration and Mathematics as well as a PhD in Financial Economics from the Université Paris IX Dauphine.